Did you know that the word “Ghetto” arise from Venice? It comes from the old Venetian dialect word “geto” which means “foundry”. 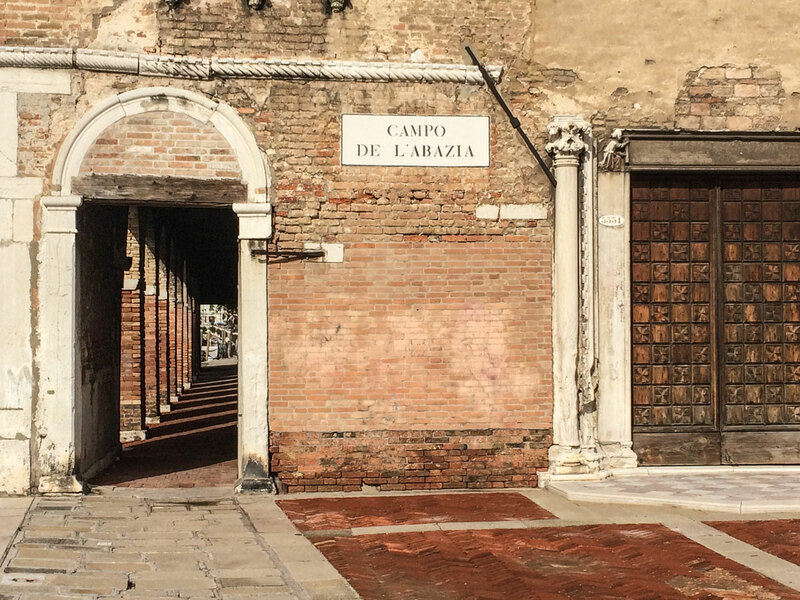 In the 16th century Jewish people were forced to live in an isolated area within the Venetian district Cannaregio – an abandoned site of a former foundry that produced canons. The Jewish life was full of restrictions at that time: They were not allowed to leave their area at night-time and all access points were controlled by guards. When they wanted to leave the Ghetto at daytime they had to wear distinguishing clothes. Moreover they were only allowed to work in certain fields such as bankers, money-lender, tailor or tinker and had to pay extraordinary high taxes. 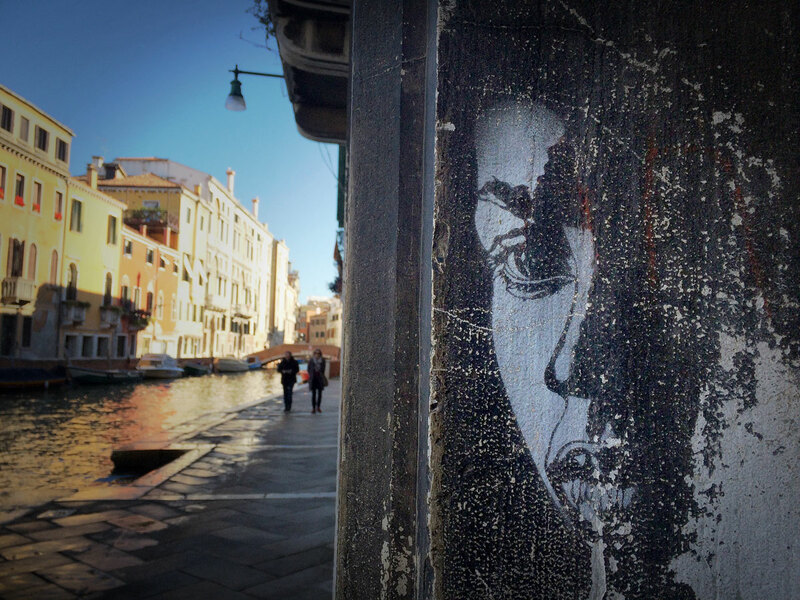 Street Art in Venice is a lot more subtile than in other cities. You don’t have huge murals here (at least I didn’t find any). 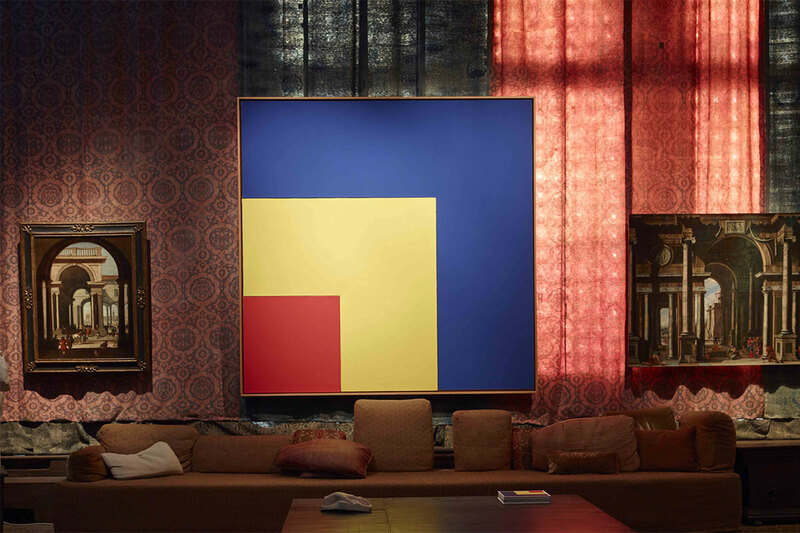 The artworks are often better integrated into the existing environment – hidden treasures that you have to keep a lookout for. Most artworks I found in Dorsoduro and Santa Croce apart from touristic routes. When I travel, I normally prefer staying in Airbnb apartments but in Venice it was simply too expensive to book a room just for me through airbnb. This is why I decided to stay in a hostel. 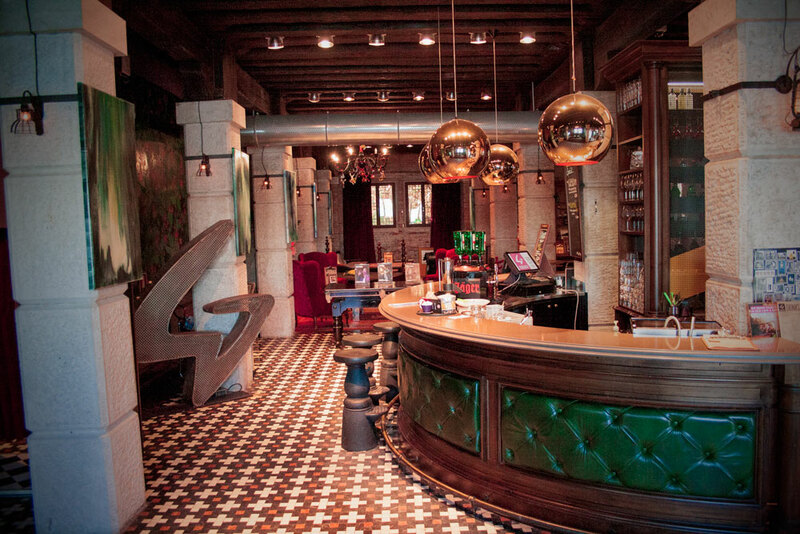 And I was more than excited as I found the Generator Hostel Venice. A hostel located in an old converted grain house with a peculiar charm. A mixture of ancient furniture, tessellated floor, Persian carpets and modern details. 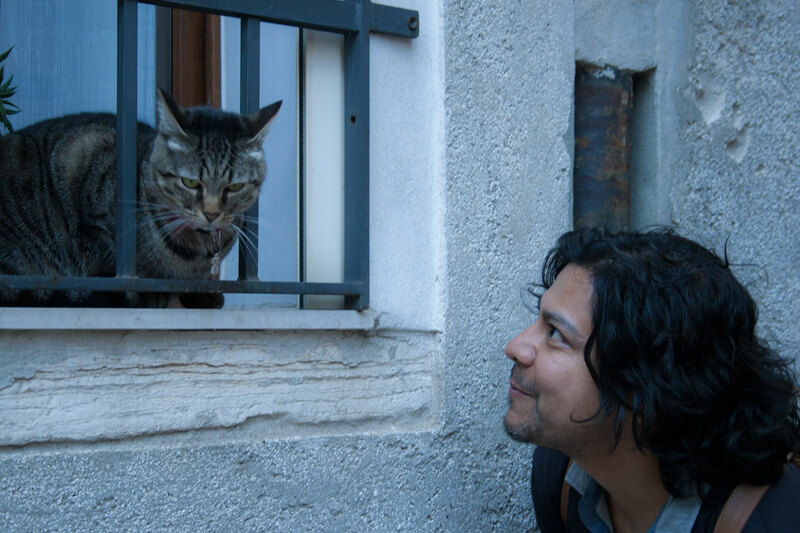 I met Eduardo on a sunny autumn day in the streets of the lonely Island of Burano. Between the little colourful houses that reminded him of a town in Mexico. He was wandering around alone and seemed to enjoy the solitude. Like a lonesome wolf. I wasn’t surprised to read in his couchsurfing profile days later that one of his favorite books is “El lobo estepario” – the Spanish version of the novel “Steppenwolf” by the German author Hermann Hesse. Yes, Eduardo reminded me of a wolf. But a good one 😉 A peaceful wolf with curious shining eyes. The Generator hostel connection And Eduardo “El lobo” joined our group. “Our group” that was Rozka from Egypt, Jelena from Serbia, Nicolas and Tiphaine from France – a multi-cultural group that had just formed the evening before in the common area of the Generator Hostel – our mutual base in Venice.